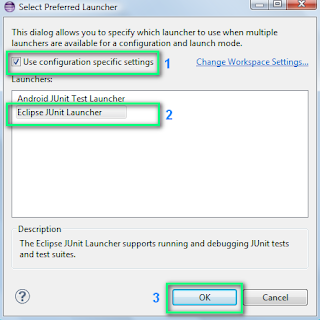 Hi there, today i wanna share a very helpful way to test our Android Apps with fast Junit tests instead of using the "slow emulator". 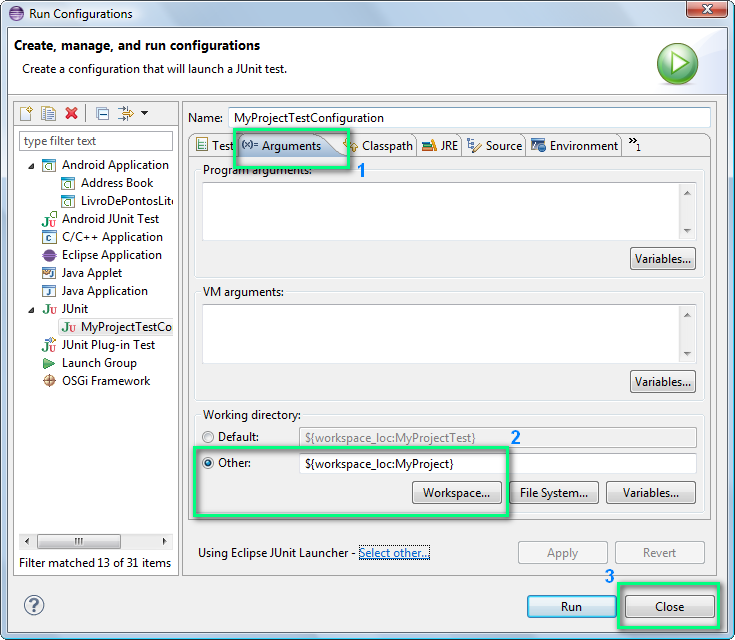 With Junit you'll speed up your development and ensure quality. 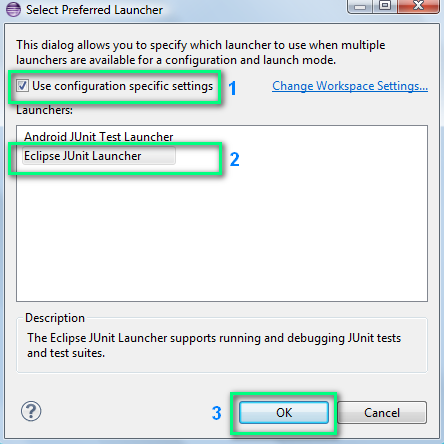 You must use Junit 4 Library and not Junit 3. 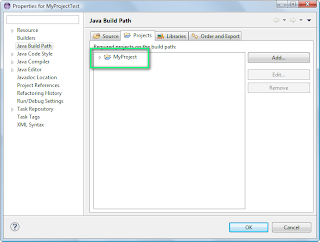 Create your Android project normally. 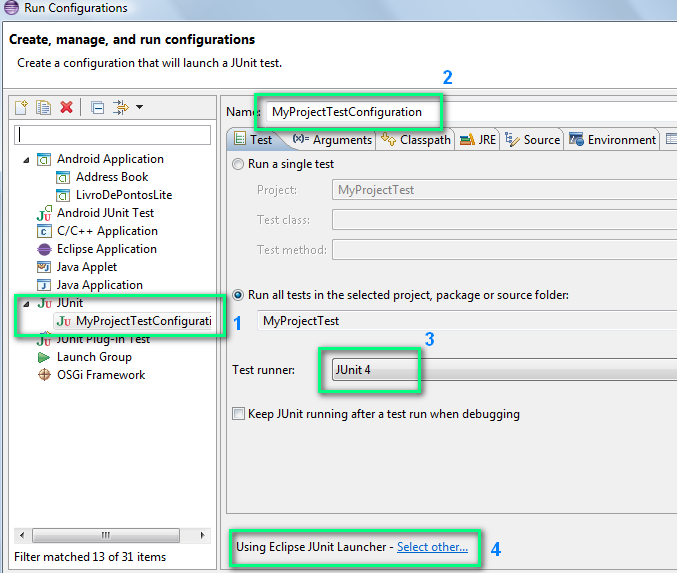 select your project and add a new folder called test like the pic bellow. 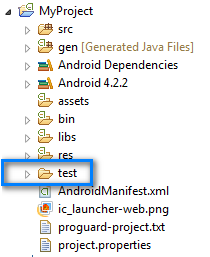 Select the src-folder, right mouse click and take "Link additional source" and browse the created test folder from your Android Project and then click finish. The result will be something like point 1 in the pic above. 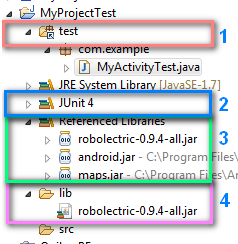 Create a folder called lib in your test project like point 4 in the picture above and copy/paste the downloaded roboelectric-x.x.x-all.jar into it. 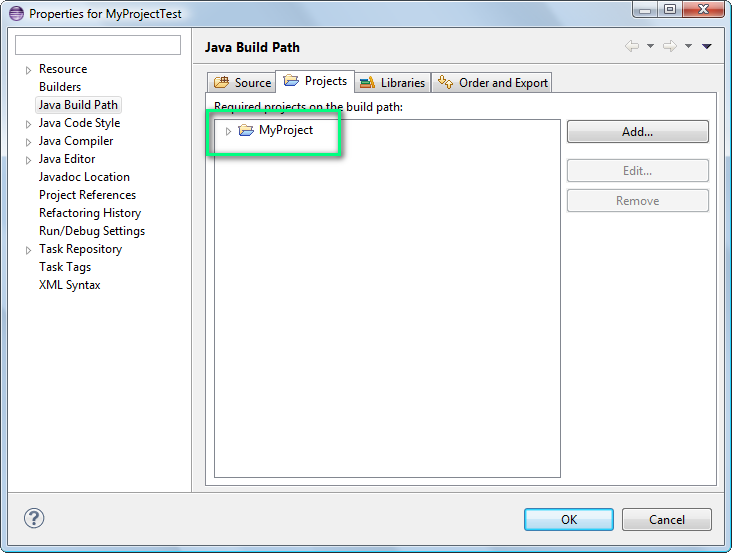 Now select your test project, right mouse click, select Build Path > Configure Build Path... > select tab libraries > add library > Junit > next > select Junit 4 > click finish but stay in this dialog. Attention: This step is very important. It will not work, if you don't do it. 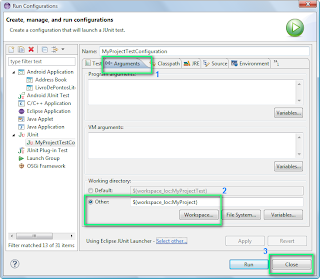 Go back to your test project (in this case here MyProjectTest) and create a simple class in the test folder called MyActivityTest and copy the next code lines into it. So bye bye slow emulator... ;-) happy coding! 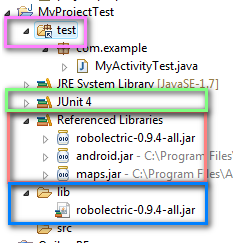 Just one thing: you should change robolectric-X.X.X-all.jar to robolectric-X.X.X-jar-with-dependencies.jar since robolectric-X.X.X-all.jar is the old way. Thanks! The reason i choose [robolectric-X.X.X-all.jar] and not [robolectric-X.X.X-jar-with-dependencies.jar] was because the [robolectric-X.X.X-jar-with-dependencies.jar] didn't work for me. i've tryed sereval times with while with [robolectric-X.X.X-all.jar] works fine. As soon as i get it working in my environment i'll update it here. 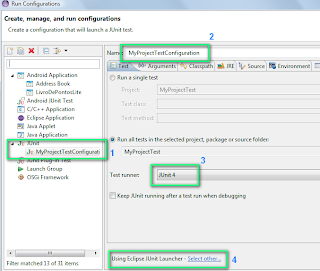 Is it possible to implement a jUnit test using Roboelectric for Hybrid Mobile applications developed in jQuey Mobile and cordova?